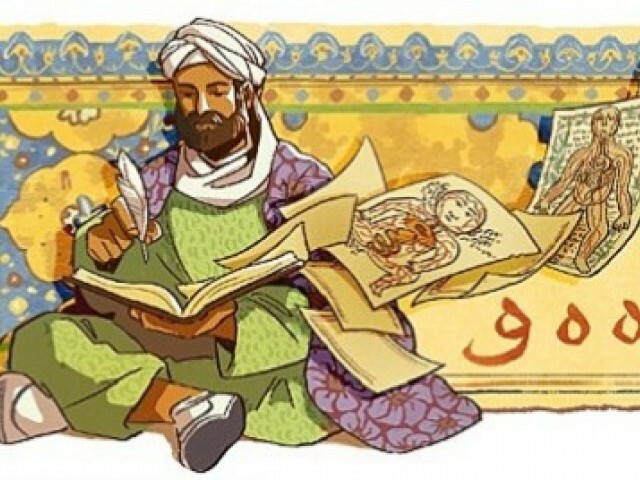 The Google Doodle on Tuesday celebrated the polymath physician and philosopher Ali al Husayn Ibn Sina. One of the most influential thinkers of all time, Ibn Sina was a polymath who excelled in fields as far ranging as mathematics, physics, medicine and philosophy. His works in these fields still influence much of modern-day thought. Ibn Sina was born in 980 in Afsana, present-day Uzbekistan, during the Islamic Golden Age. The literal meaning of his name is son of Sina. His prodigious intellect manifested itself from an early age. By the age of 10, he had memorised the Holy Quran and by 13 was studying medicine. At the age of 16, he had become an expert in the fields of physics, mathematics, metaphysics and logic. The Muslim thinker was just 21 when he began writing his seminal work, Al Qanun fil-Tibb (The Canon of Medicine). The texts present an integrated view of surgery and medicine and continues to have an enduring respect. He split “The Canon of Medicine” into five texts: the first presents a general overview of medical principles and human anatomy, as well as, standard therapeutic procedures. The second outlines medical substances set out alphabetically and discusses the nature and quality of drugs, while the third focuses on diagnoses and treatments of diseases specific to individual parts of the body. The fourth zooms out and explores ailments not specific to just one part, including obesity and bites. The fifth and final book is a list of compound medicines. The thinker’s texts became hugely influential and was the default text used on European medical courses until the 1600s.